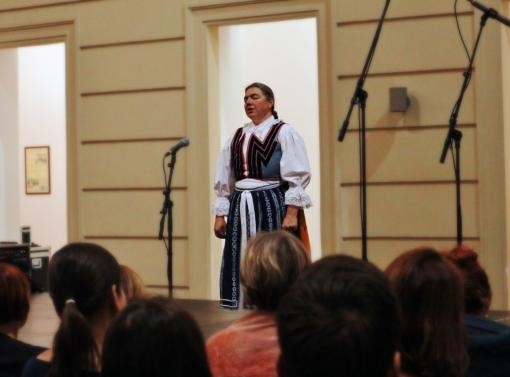 On Tuesday the tones of folk song resounded in the courtyard of the Rectorate of Brno University of Technology on Antonínská street in Brno. The first folk accompanying programme of the festival Janáček Brno 2018 carried the poetic name Kvítí milodějné (which might translate as Merciful Flowers), borrowed from the composer’s eponymous arrangements from a unique song cycle of Moravian folk poetry. The entire programme had an interesting and attractive concept, in which there were performances of three versions of folk material from the collections of Leoš Janáček. All three were close not only to the composer himself but were also generally popular. The first approach is purely artificial. It was performed by the much sought-after Czech organist Martin Jakubíček, who for this concert played the piano. Given the injury to the little finger on his right hand he produced an admirable performance. Perhaps this was the reason for the change in instrument from the originally announced organ. This version also involved the ensemble called Q VOX. This was a professional vocal quartet, the members of which performed not only together but also as soloists. Their excellent performance was completed by the good-humoured expression of their artistic director Tomáš Krejčí in a solo with cimbalom music. All this was enjoyed not just by the audience but also the interpreters. Another interpretive trend heard in the concert was probably the most popular form of stage folk here. In this case there was a performance by the folk group Cimbálová muzika Danaj with its leader and singer Jan Gajda and the famous cimbalom player and solo singer Magdalena Múčková, who wrote most of the arrangements. They were also supplemented by the gifted young singer Nela Gajdová. The third in the series was an attempt at the most faithful and authentic interpretation. This was taken care of by the Marína ze Zvolena Women’s Choir. I think Janáček himself would have appreciated these ladies and the way with their spontaneity and beautiful voices they filled the room with life. Furthermore I have to commend their costumes with their perfect old-fashioned elements. The songs from the collections of Leoš Janáček were chosen for them by Magdalena Múčková and included such gems as the Ruthenian Poniže Jakubian or Roskezovački zo Zvolenskej Slatiny. The concert was a great supplement to the main festival programme. 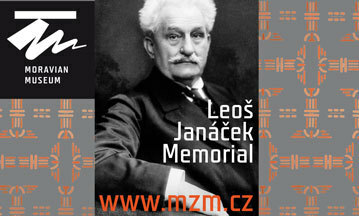 It exuded the spirit of Janáček and carried the audience back to the master’s times. The BUT Rectorate is close to the house where the composer lived. It is a somewhat harsh place but the voices and the tones of these old songs filled it with a gentle beauty.